Now, after just a few days skiing in the Tyrolean Alps, I would hardly call myself an expert. However, after weeks of research (well, constantly badgering everyone I know who skies) I’ve built up a pretty good idea of life on the slopes. So, if you’re jetting off for your first ever ski holiday and have no idea what to expect – don’t worry. 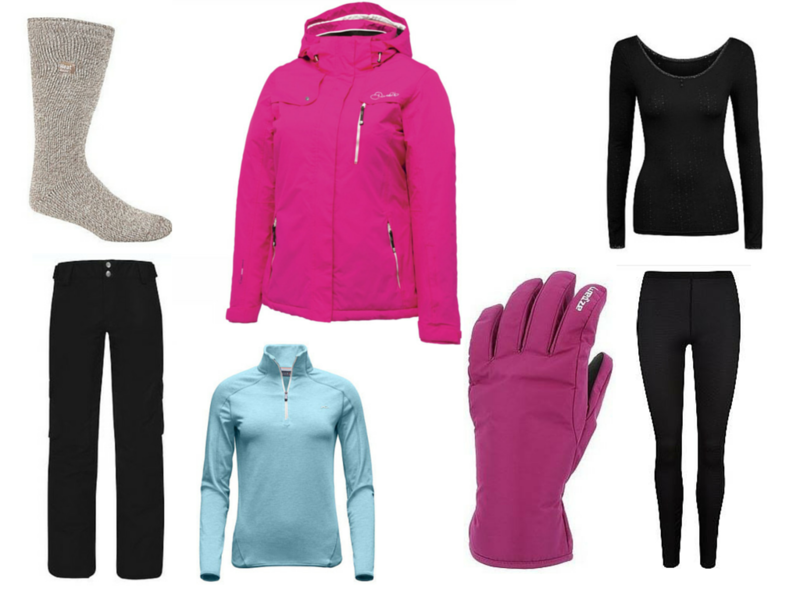 Here’s your ultimate ski survival guide. Although I took both a fleece earwarmer and hat with me, I didn’t actually wear either of them on the slopes, instead opting to rent out a helmet which kept my head super warm. And I left off my ski fleece for the second day as I was sweating too much with it on. TOP TIP – Ask around to see if anyone has any clothing you can borrow. Alternatively, check out Amazon and bargain shops like Sports Direct to help save a little bit of money. What can I rent at the resort? Skis, ski boots, helmets and ski poles can all be rented out there for a small charge. I would definitely recommend renting some ski poles to help keep your balance when you first start to learn. Many places also offer storage for your shoes while you ski, as well as overnight storage for your ski equipment. Are there any other things I should take with me? If you’re just having beginner lessons on the nursery slopes you’ll be fine without ski goggles, but definitely take a pair of sunglasses with you as the snow can get pretty bright. I’d also recommend sun lotion – don’t do what I did and get a burnt face on your first day. Not a good look. I would also advise a good waterproof pair of boots. If you’ve got some snow boots, perfect, but if not, do what I did and pack a solid pair of hiking shoes. You should also consider your resort. For instance, if you’re staying on a half-board basis, you might want to take a pair of ordinary shoes with you for the evenings. Where do I put things I might need, like a purse or camera? What else is there to do other than skiing? If you’re going with a group of people, chances are there will be a couple of you who fancy doing something other than, well, skiing. But fear not, as there’s always something more to do – depending on your resort of course. I would heartily recommend Seefeld as it caters for those with no interest in skiing too, with a cute village filled with churches and shops. We stayed in Hotel Seespitz which had its own on-site pool for a spot of afternoon relaxing, while Inghams also offer daily activities such as day trips to Neuschwanstein Castle in Germany, plus evening schnapps tasting. Back on the snow, you can also try your hand at tobogganing, or even just go for a picturesque walk. What will I learn at a ski school? Private and group lessons are often available, with children and adults being kept separate. Again, at Seefeld, our lessons took place on a gentle slope away from the seasoned skiers, so there was no risk of colliding. 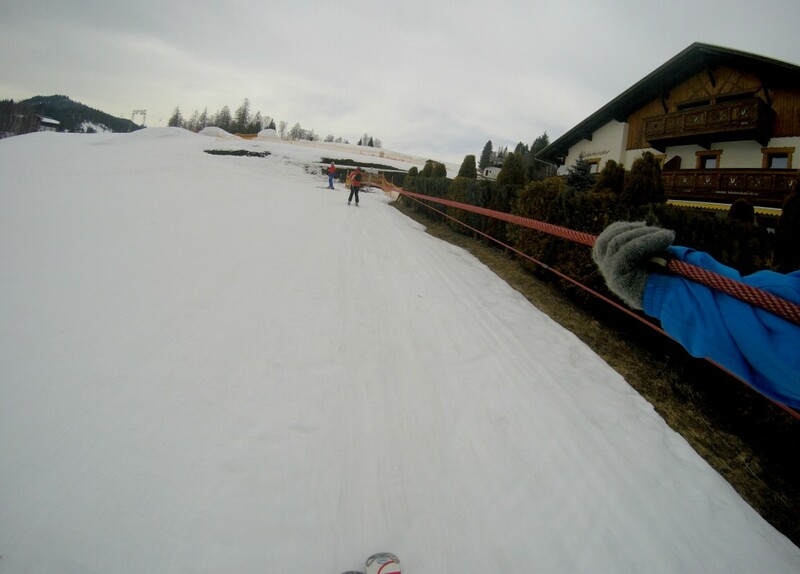 Our lessons included the real basics, beginning with how to move/slide in skis. We then progressed onto how to stop (by snowploughing), followed by how to turn using your weight. The lessons involved a lot of repetition as the only real way to learn and grow in confidence is to practise, practise, practise. We started off on a flat surface, and as we felt more confident we moved on up to a small slope, followed by a slightly larger slope. How are the different levels of slopes categorised? Green (France only): Really easy. Perfect for beginners. Blue: Easy. Good for novices and those wanting to improve. North American resorts don’t have red runs, but they do use shaped diamonds. Basically, avoid double-black diamonds. They’re pretty darn impossible. For more information on slope categories, see here. What are the different lifts? There are many, many different types of lifts on the slopes. 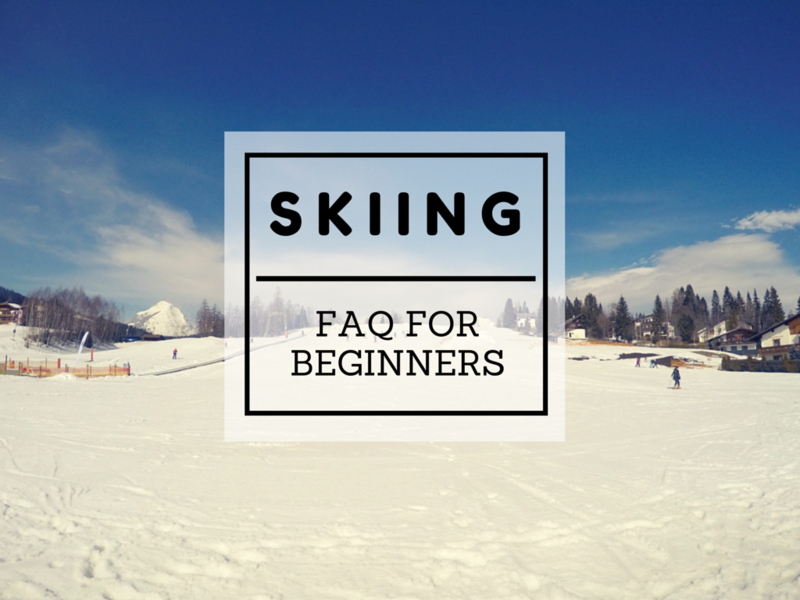 As a beginner, chances are you will only use some of the more basic ones, including a rope tow (where you hold on and it pulls you up a gentle slope), or a moving carpet, which is a narrow travelator that you just stand on with your skis. Another type is a T-bar lift which you just pop behind your bottom. A gondola lift, railway and a chairlift are other possibilities – but I think they’re much more common on the bigger slopes. What does ‘apres ski’ mean? This is quite literally the social activities that take place ‘after’ skiing. This could be anything from bars, to clubs or pubs, and can start as early as 5pm. Have you got any ski questions you want answering? Feel free to leave a question in the comments below and I’ll do my best to help! Great post – have bookmarked if I EVER go skiing – as still not sure if I even want to try it – enjoy the sun type of holidays so much – mind you just booked Iceland for November so should be fun !